A Hindu woman with a red bindi. 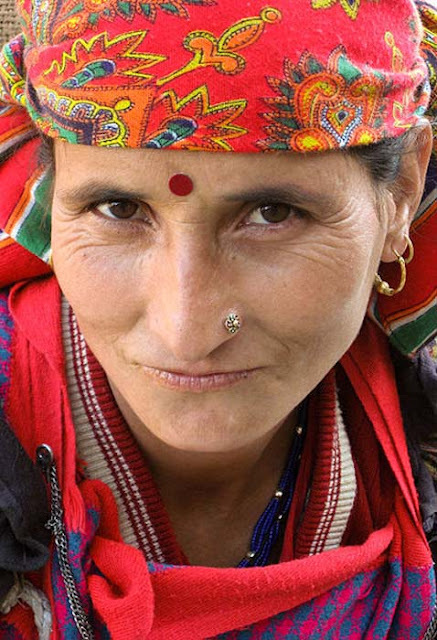 A distinct dot is a popular forehead decoration worn mainly in South Asia - especially in India, Bangladesh, Nepal, Sri Lanka, and Mauritius. It is an old Hindu tradition and is known as a bindi, which means “a drop, small particle, and dot.” The word ‘Bindi’ is derived from the Sanskrit word 'Bindu' and is associated with a person’s mystical third eye. Although they are rooted in the Hindu tradition, Bindis have transformed over time and have become popular accessories and fashion statements for some people. For example, several Western celebrities have been accused of cultural appropriation for wearing a bindi. Traditionally, it is a bright red dot applied to the center of the forehead close to the eyebrows. But bindis can also be other colors with a sign or piece of jewelry worn on them. Many people associate the red bindi with the ancient practice of offering blood sacrifices to appease the Gods. 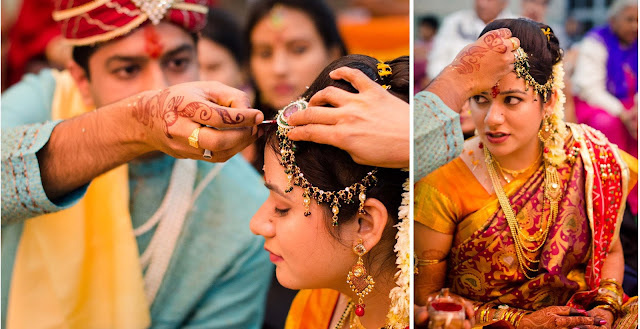 It is interesting to note that in the ancient Aryan society a bridegroom made a 'tilaka' (long vertical mark) on the bride's forehead as a sign of wedlock. The present practice could be an extension of that tradition. Significantly, when an Indian woman has the misfortune of becoming a widow, she stops wearing the bindi and other decorations associated with married women. The ritual of applying the Sindoor (a traditional cosmetic powder) as part of a Hindu Indian wedding. Ceasing to wear this (and the red bindi) usually implies widowhood. 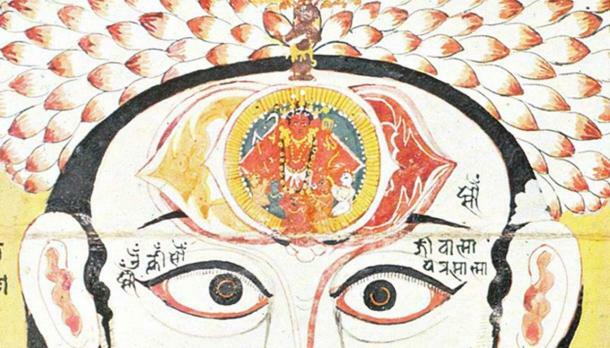 The area between the eyebrows is believed to be the sixth chakra, known as the Ajna, meaning “command,” and is believed to be the seat of concealed wisdom. Tantric cults believe that during meditation latent energy rises from the base of the spine toward the head and the Ajna is the outlet for this potent energy. The red dot between the eyebrows is said to retain energy in the human body and control the various levels of concentration. It is also the central point of the base of creation itself and symbolizes auspiciousness and good fortune. 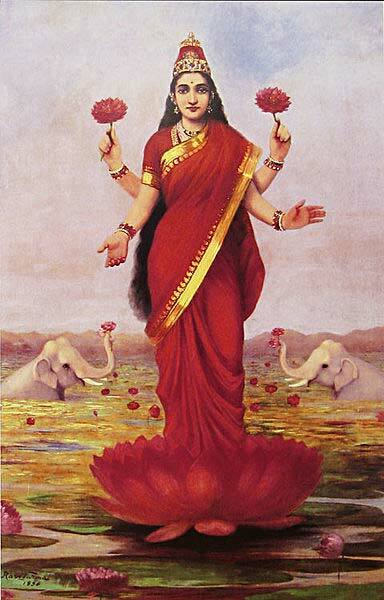 The goddess Lakshmi also wears the bindi. 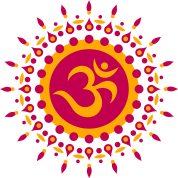 Hindu tradition holds that all people have a third inner eye; the two physical eyes are used for seeing the external world, while the third focuses inward toward God. As such, the red dot signifies piety as well as serving as a constant reminder to keep God at the center of one’s thoughts. The eye-catching bindi is one of the most visually fascinating of all forms of body decoration. Hindus attach great importance to this ornamental mark between the eyebrows - a spot that has been considered a major nerve point in the human body since ancient times. Apart from a red dot being an auspicious sign of marriage, it also is thought to guarantee the social status and sanctity of the institution of marriage. 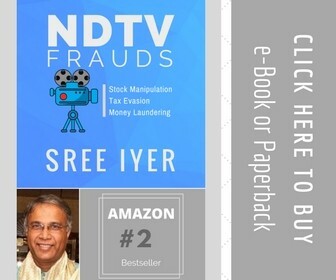 As the Indian bride steps over the threshold of her husband’s home bedecked in glittering dress and ornaments and wearing the red bindi that is believed to usher in prosperity, it grants her a place as the guardian of the family’s welfare and progeny. In modern times, however, the bindi’s symbolism is no longer strictly adhered to, and it is largely used as a beauty accessory or a part of women’s fashion. Traditionally, the red dot is made of cow blood and dirt; yet even this has changed. Now, most Hindu women prefer to wear a jewel in its place. The modern dot knows no gender limits either: men, as well as women, can wear it. Some modern men wear it on auspicious occasions such as for ritual worship or a wedding, on festive occasions, or while embarking on or returning from a voyage or a campaign. In contrast, the tradition of men wearing the tilaka has faded in recent times – now a lot more women than men sport that decoration.